You can include a bequest provision in your will or living trust that specifies an amount or percentage of your estate that you wish Partnership With Native Americans or the PWNA program or programs of your choice to receive. I give, devise, and bequeath to Partnership With Native Americans (or state the Program or Programs of your choice), Elkwood, VA, the sum of $________ for its general purposes. In the event that ________ predeceases me, I give, devise, and bequeath his/her bequest or share to Partnership With Native Americans (or state the Program or Programs of your choice), Elkwood, VA, to be used for its general purposes. 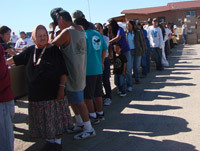 Being last in line is nothing new for Native Americans whether waiting in line for government goods and commodities or inadequate health services. 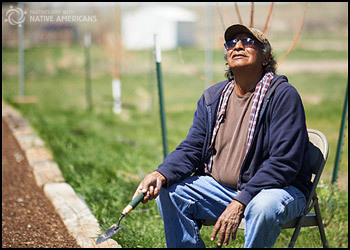 Impoverished Native Americans have endured these shameful conditions with dignity and quiet resolution. But being the “last in line” to be included in a benefactor’s Will is an honor and a privilege for PWNA. We understand donors wish to take care of others first before including a nonprofit in their Will. Any amount left to Pwna or a PWNA program will benefit the Indian communities we serve. It is not necessary for a benefactor to inform us of their intentions to include PWNA in their Will but it is very helpful for us to know. We would like to include you in our Heritage Circle to recognize your desire to help the Native American community through a bequest. We will respect your privacy if you wish to remain anonymous. It is important for us to know if you have restricted your bequest so we are better able to ensure that your intentions are carried out. We can help you with questions you may have in making a specific bequest to the program of your choice. We would inform you if we no longer provide the service you designated in your Will so you may decide how to make a change to reflect this. We know that circumstances may change over the years and you may need to revise your Will accordingly. A Will is not “set in stone” but it is a testament to one’s support and belief in the services we are providing Native American communities.